Cone crushers are high-performance devices. They are widely used in processing of various rocks at all crushing stages. 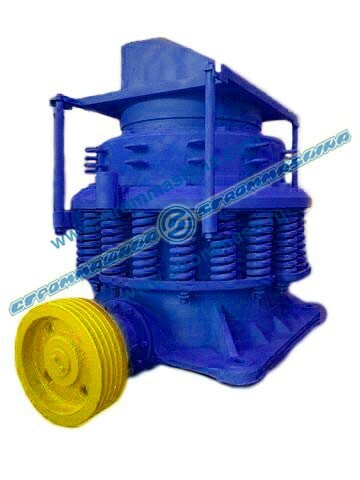 Depending on its purpose, cone crushers are classified for medium (KSD) and for fine (KMD) crushing. Cone crusher is another type of crushing equipment. Cone crusher crushes materials by abrasion and crushing between the walls of two cones.